Who doesn’t want younger, healthier looking skin? Skin care procedures are one of the most common ways to achieve and maintain beautiful skin. 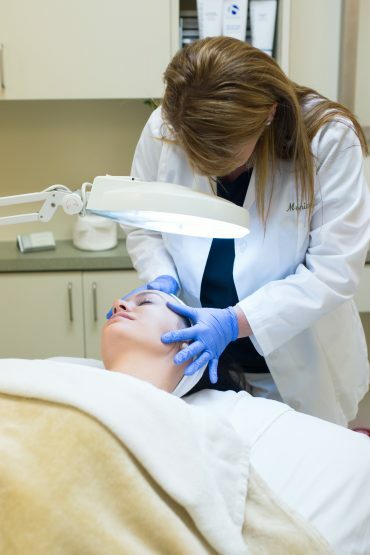 Here at the Barber Center we have a wide variety of non-surgical, non-invasive skin care procedures to help our patients correct such issues as sun damage, age spots, fine lines and wrinkles, poor skin texture, and pigmentation. These skin care procedures are for men or women looking to improve and maintain the appearance of their skin. It’s never too late or too early to start to learn good skin care routines. Our licensed medical aesthetician is on hand 5 days a week to assist patients and guide them on the course to better skin! Click the links below to learn more about the individual skin care procedures we offer. If you’re not sure what procedure is right for you, call our office at 336-275-3430 or click here to schedule a no-cost consultation. We will evaluate your skin, discuss your concerns, and make a recommendation for the best treatment plan for you!